extended happy hour of seasonal bites and share plates. Visitors will also be able to purchase the wines by the glass in the lobby lounge, giving wine lovers the chance to sip on top shelf wines that rarely are available by the glass. The Olympic culinary team will be pairing appetizers from the lounge menu with a different wine from each evening, in case guests are looking for paired recommendations. 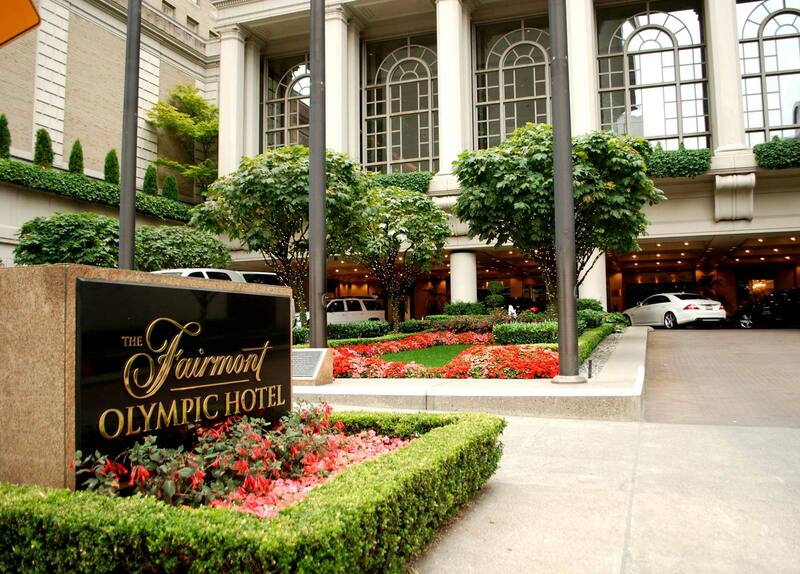 For those looking to make this a fun weekend getaway or just an overnight excursion during Taste Washington Wine Month, The Fairmont Olympic is offering our special Washington Wine Month package which includes luxury accommodations and a bottle of Chateau Ste. Michelle 2012 Mourvedre, which is only available to purchase for wine club members, as well as guests of the Fairmont Olympic Hotel. Packages start at $255 and can be booked online through April 8, 2017. Fairmont Hotels & Resorts connects guests to the very best of its destinations worldwide, providing travelers with memorable travel experiences, thoughtful and attentive service and luxury hotels that are truly unforgettable. Each Fairmont property reflects the locale’s energy, culture and history through locally inspired cuisine, spirited bars and lounges and distinctive design and decor. Follow Fairmont on Facebook, Twitter, Instagram, Pinterest, and Fairmont Moments. Posted in Uncategorized and tagged Angela McWethy, Chateau Ste. Michelle, Fairmont Empress, Fairmont Olympic Hotel, Washington Wine Month. Bookmark the permalink. Seafair 2017: Mark your calendars!